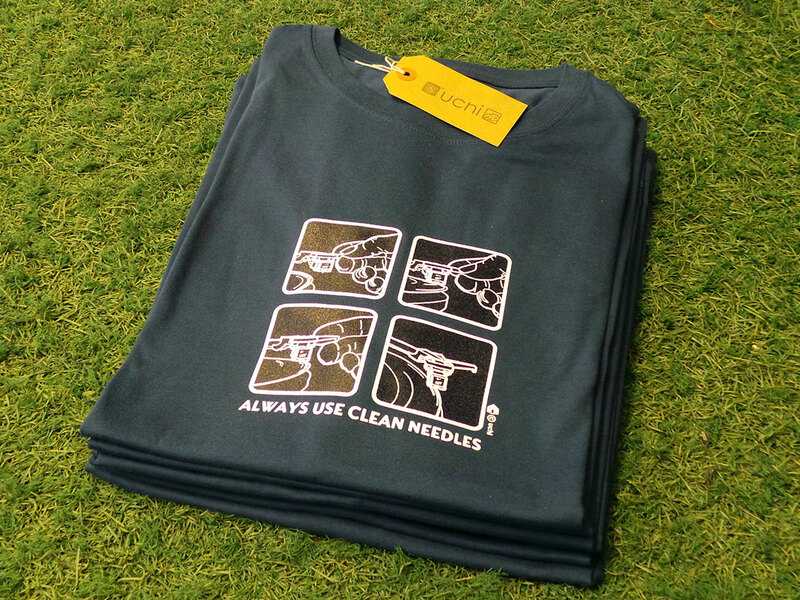 Always in demand, our classic Always Use Clean Needles T shirt has been reprinted. This time on a Denim Blue Tee. Get them while you can. We’ve also restocked the Chilli Red Hoodies. Read the full story of the Always Use Clean Needles classic T shirt.